The use of the big bucket or small bucket retention method has been debated by proponents of each for many years. Is one method really better than the other? Certainly, one approach is not universally favored more than the other. There is no right or wrong. Rather, organizations should define the scope of records that will be covered under their records retention schedule, considering the legal and business environment of the enterprise. 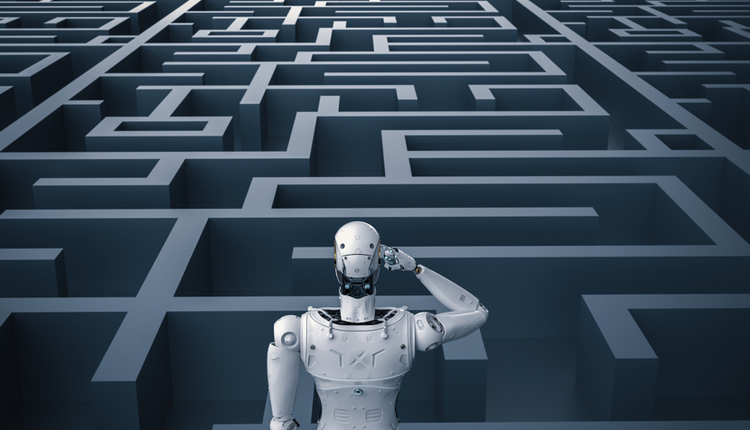 While there is no need to cover every single type of records, anything that is potentially discoverable should either be governed by the records retention schedule or more broadly identified in the corporate records and information governance policy. 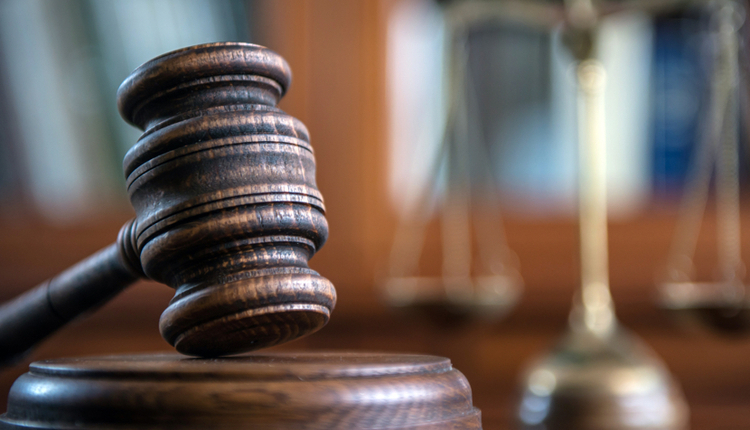 If both these guidelines sufficiently provide for retention and disposition of all paper and electronic records and information—and the organization has a consistent process for managing them—then it is in a stronger position to defend its actions. 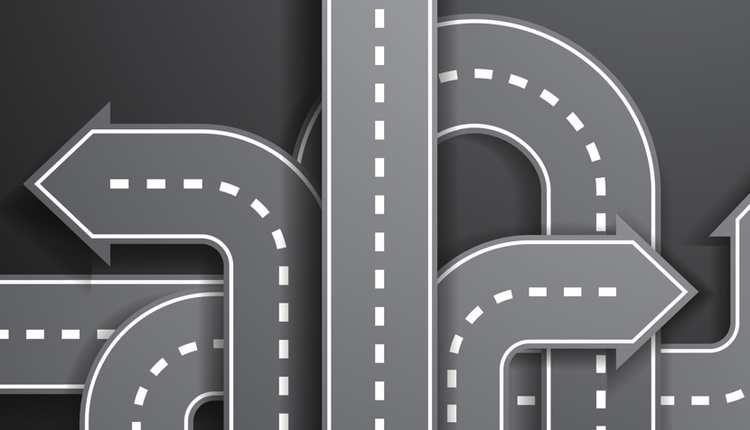 In effect, the records retention schedule should focus on retention, while the records and information governance policy should address disposition. This is how your employees know what to do with records and information not on the retention schedule. So, no matter what method you use, the size of the records retention schedule should reflect the number of categories necessary to encompass the scope of records, as defined by a requirement to do so. Otherwise, it should be covered by the organization's policy. 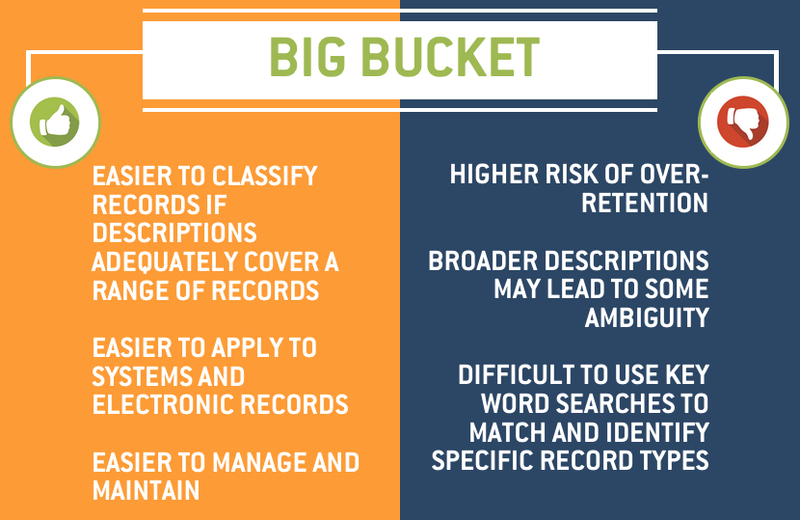 A big bucket records retention schedule captures a wide range of record types and has a broad description for its record categories. It also encompasses a large span of legal and business retention requirements in a record category, using the longest retention period within it. On the other hand, the small bucket retention schedule method captures more granular record types, has a narrower category description, and a smaller range of legal or business requirements. 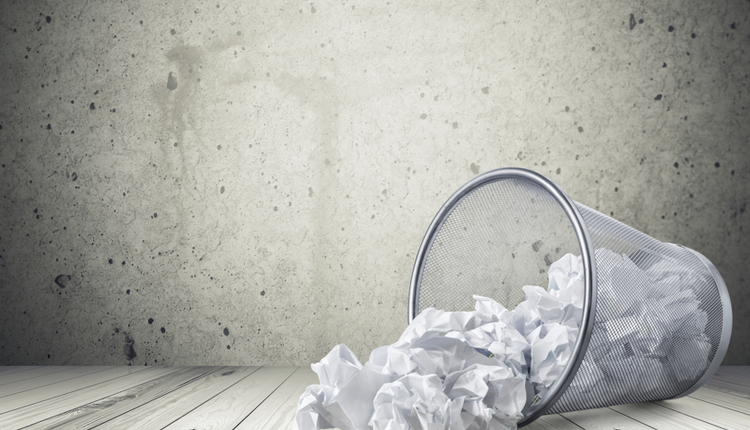 Big bucket records retention schedules can range from just 10 buckets to about 100, averaging around 30 to 50 for a medium-sized organization or more for larger enterprises. 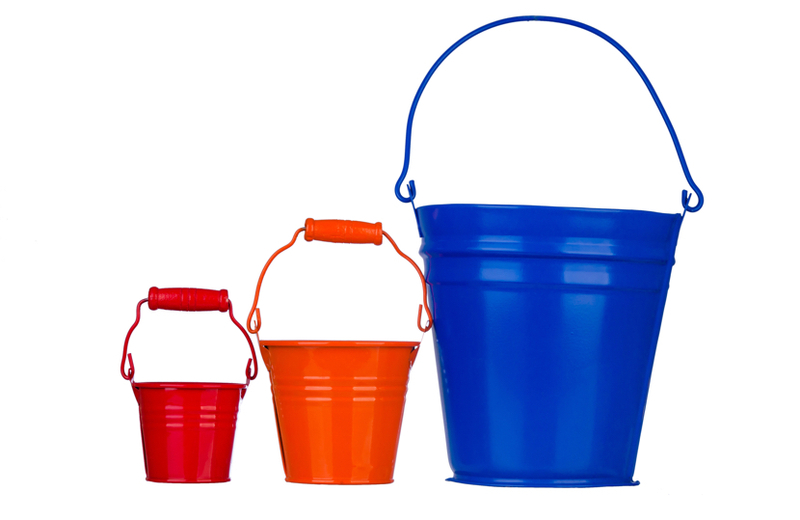 At the smaller end, the buckets are defined by retention periods. This is less common but easily understood by information technology (IT). 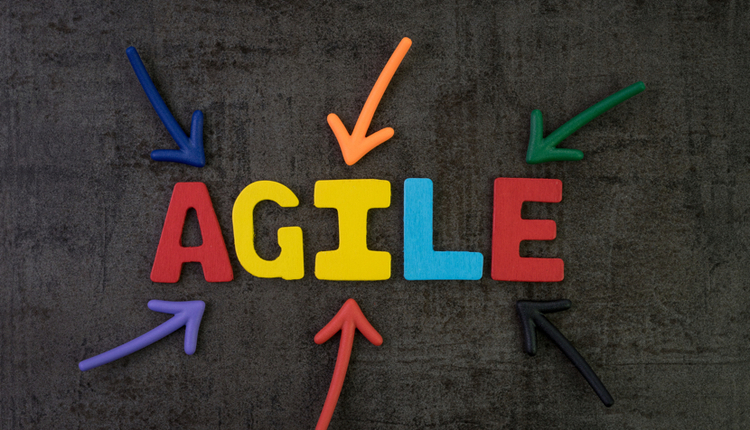 More often, organizations use broad functional categories (such as accounting, finance, customer relations, contracts, sales and marketing collateral, etc.) to capture a range of similar record types with reasonably similar retention periods. 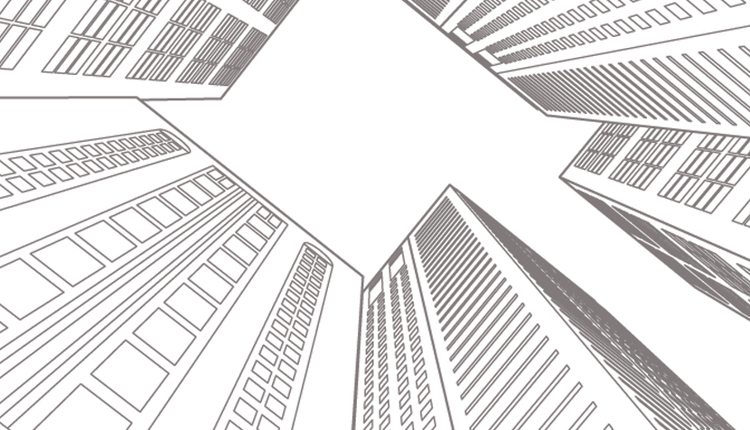 Ideally, this method is most suitable for organizations that aren't extensively regulated, have homogenous lines of business, and hold a high volume of legacy records. 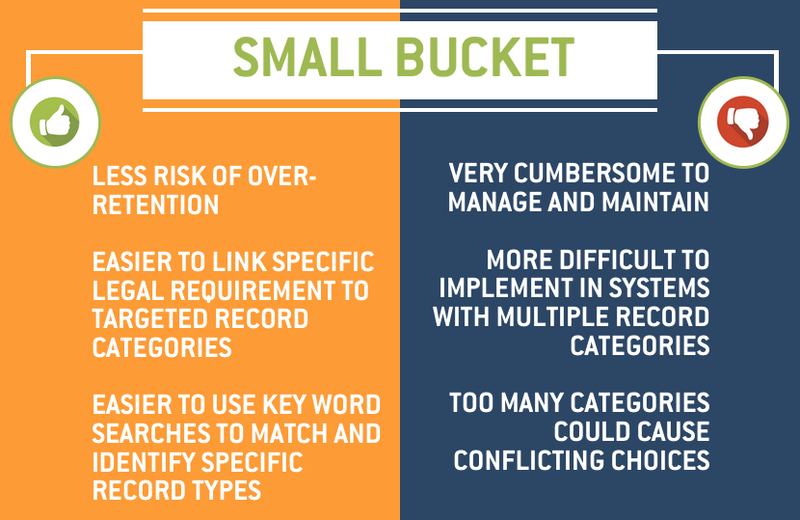 A small bucket records retention schedule defines a larger number of records types or categories and are usually grouped by the functional category to which they belong. For example, under accounting records, there may be as many as 30 to 50 separate record categories, each with its own retention periods. The small bucket records retention schedule is most suitable for organizations that are extensively regulated, have highly intensive recordkeeping requirements, and those that are engaged in more diversified lines of business. Ultimately, when determining the best method for developing your records retention schedule, the size should be dictated by the number of categories to sufficiently cover the scope of all records that need to be retained for specific legal or business requirements. Cindy Zuvich, CRM, is the Principal of Unigrated Global, an information governance consultancy and records management services company based in White Plains, New York. Contact Cindy at cindy.zuvich@unigrated.com.